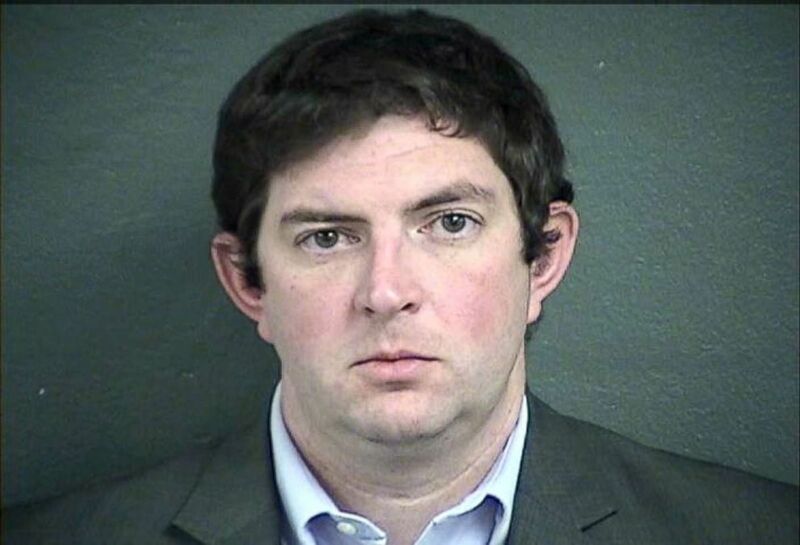 The former operations director for Schlitterbahn Waterpark in Kansas City, Kansas, and the water park itself have been charged with manslaughter in the 2016 death of a 10-year-old boy on a water slide. Tyler Austin Miles, 29, was booked into the Wyandotte County Detention Center Friday morning after he turned himself in, jail records show. His bail was set at $50,000. A lengthy indictment obtained by ABC News names Miles and Schlitterbahn Waterpark of Kansas City, Kansas, as co-defendants. In addition to the manslaughter charges in the death of Caleb Schwab, both Miles and Schlitterbahn were indicted on multiple counts of aggravated battery and aggravated endangering a child. Schlitterbahn was indicted on one count of interference with law enforcement, concealing evidence, while Miles was indicted on that charge and an additional charge of interference with law enforcement, obstructing official duty. Caleb, 10, was killed on Aug. 7, 2016, after something went wrong when the child rode on the park's 168-foot-tall Verruckt (German for "insane") water slide. Verruckt was billed as the largest of its kind in the world at the time. It was closed indefinitely following Caleb's death. Tyler Austin Miles is seen in this undated booking photo. The indictment alleges that Verruckt suffered from a "persistent airborne problem" and underwent a massive redesign in 2014 after testing showed the ride's rafts had a tendency to fly into the air. Miles and other Schlitterbahn officials -- including John Schooley, lead designer of Verruckt, and Jeff Henry, co-owner of Schlitterbahn -- allegedly had direct knowledge that "the redesign failed to eliminate the airborne raft problem" but moved ahead with the ride's opening nonetheless, according to the indictment. Henry allegedly came up with the idea for the water slide, rushing the ride to construction despite "a long list of dangerous design flaws," according to the indictment. He was allegedly motivated by a desire to brag to rival water park owners, the indictment states. Experts who examined the ride after Caleb's death found that "Verruckt's design violated nearly all aspects of the longstanding industry safety standard," the indictment states, adding that evidence shows Verruckt's designers and operators knew that the ride "posed a substantial and unjustifiable risk of death or severe bodily harm." Documentation cited in the indictment shows that riders suffered a range of injuries before Caleb's death, including multiple broken bones and concussions. Following Caleb's death, Miles allegedly attempted to cover up reports of complaints of injuries on the ride, the indictment states, even allegedly coaching a lifeguard at the park to lie. Thanks to Miles' alleged withholding of information and efforts at a cover-up, the investigation was "delayed by nearly six months," the indictment states. 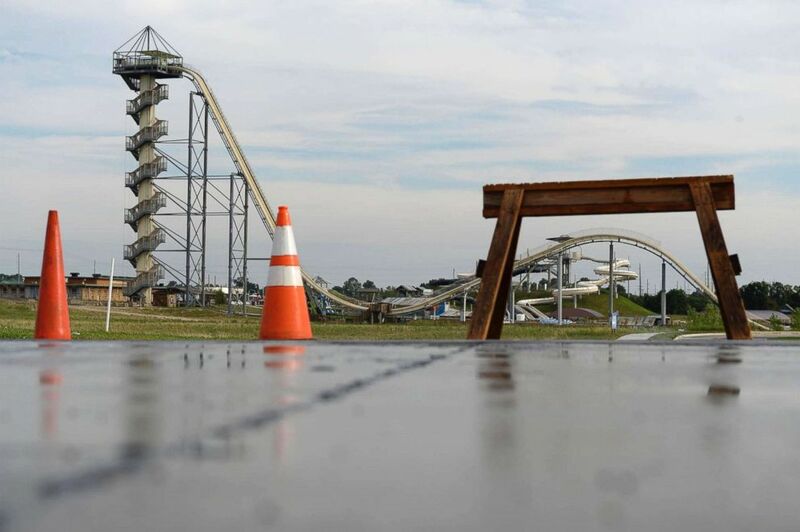 Esteban Castaneda told ABC News in 2016 he first heard a "boom" on Schlitterbahn Waterpark's Verruckt water slide, which is promoted as the world's tallest. He then saw a raft come through, and "immediately after the raft ... you see a body," he said. Caleb Schwab, son of Kansas state Rep. Scott Schwab, died Sunday on the Verruckt water slide at the Schlitterbahn water park in Kansas City, Kan. He said there were two women sitting in the back of the raft with blood on them. Investigators said Caleb was somehow decapitated on the ride. Caleb's parents spoke to ABC News last year. His father, Scott Schwab, said that in the months after the tragedy, the family members, especially the three surviving brothers, soothe themselves by watching videos of Caleb. "There's times when it's like, I can't look at that right now, and there's other times when you can't sleep and you want to look at it," Schwab said. Last year, the Schwab family reached a settlement of an undisclosed amount with the park's owners and the ride's manufacturer that will go to Caleb's brothers, attorneys for the family, Mike Rader and Todd Scharnhorst, told ABC News. 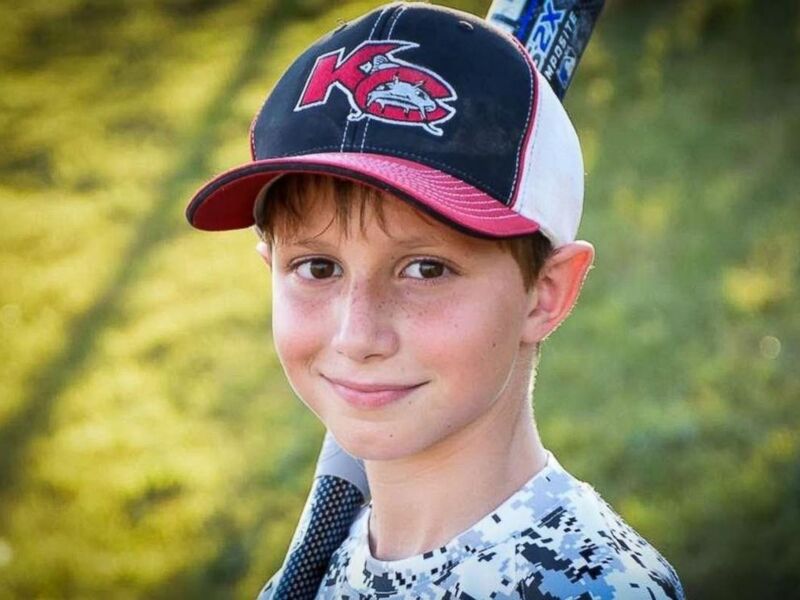 Caleb Schwab, 10, was killed in an accident on a ride at Schlitterbahn Water Park in Kansas City, Kansas, his family said on August 7, 2016. Miles was released on bail Friday afternoon. The statement released this afternoon from the company goes on to say: "The safety of our guests and employees has been at the forefront of our culture throughout our 40 years of operations. Our families enjoy our waterparks and its rides and attractions. We have set the highest bar for safety in our industry. "Our staff, since we opened Schlitterbahn Kansas City, has demonstrated the highest dedication to safety, from the training of our lifeguards and ride operators, to ensuring all rides have operated in accordance with our strict protocols. Our team has been conscientious and committed to providing visitors to the waterpark a safe and enjoyable experience. We are shocked by any allegations of impropriety or negligence on the part of anyone associated with Verruckt. "Throughout his employment with us, our operations director, Tyler, demonstrated the highest dedication to safety, from the training of our lifeguards and ride operators, to ensuring all rides have operated in accordance with our strict protocols. He was conscientious and committed to providing visitors to the waterpark a safe and enjoyable experience. Tyler left us in September to accept great opportunity; we were sorry to see him go and wished him well. We stand by him and are shocked by these allegations." In a later statement regarding the corporate indictment, Schlitterbahn said: "We’ve reviewed the indictment against Schlitterbahn Kansas City and Tyler Miles and we plan on contesting the allegations. Since the date of the incident we have worked closely with law enforcement; at no time have we withheld evidence; at no time have we altered evidence. The indictment uses quoted statements from a reality TV show that was scripted for dramatic effect that in no way reflects the design and construction of the ride. "The safety of our Schlitterbahn guests and employees has been at the forefront of our culture throughout our 40 years of operations. Many of us rode Verruckt regularly, as did our children and grandchildren. We have faith in the justice system and are confident that when we finally have an opportunity to defend ourselves, it will be clear that this was an accident. We stand by our team and will fight these charges." ABC News could not immediately reach Schooley and Henry. The Schwab family has not yet commented on Friday's news. Miles pleaded not guilty to the charges, his lawyer, Tricia Bath, told ABC affiliate KMBC. She declined to comment beyond confirming the plea.